Eram Garden (Persian: باغ ارم‎‎, Bāgh-e Eram) is a historic Persian garden in Shiraz, Iran.The garden, and the building within it, are located at the northern shore of the Khoshk River in the Fars Province. 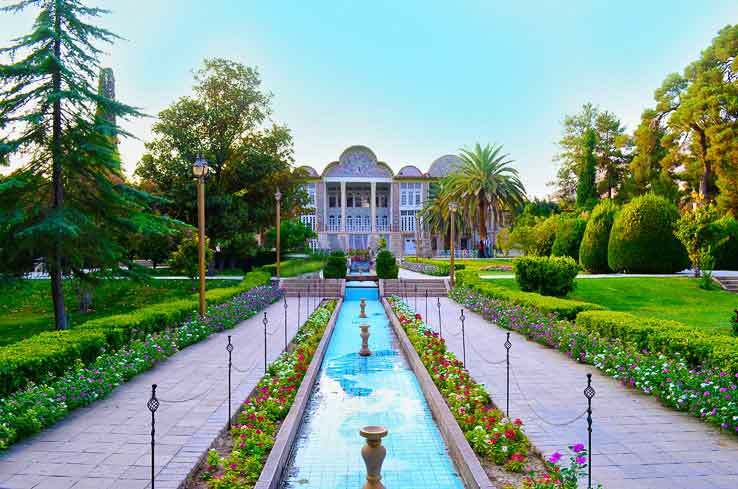 Both the building and the garden were built during the middle of thirteenth century by the Ilkhanate or a paramount chief of the Qashqai tribes of Pars. The original layout of the garden however, with its quadripartite Persian Paradise garden structure was most likely laid in eleventh century by the Seljuqs, and was then referred to as Bāgh-e Shāh (“The emperor’s garden” in Persian) and was much less complicated or ornamental. Cornelius de Bruyn, a traveller from the Netherlands, wrote a description of the gardens in the eighteenth century.